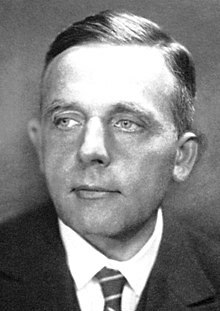 Otto Heinrich Warburg (8 October 1883 – 1 August 1970), son o pheesicist Emil Warburg, wis a German pheesiologist, medical doctor, an Nobel laureate. ↑ Krebs, H. A. (1972). "Otto Heinrich Warburg 1883-1970". Biographical Memoirs of Fellows of the Royal Society. 18: 628–699. doi:10.1098/rsbm.1972.0023.